A pathologist’s report after reviewing a patient’s biological tissue samples is often the gold standard in the diagnosis of many diseases. For cancer in particular, a pathologist’s diagnosis has a profound impact on a patient’s therapy. The reviewing of pathology slides is a very complex task, requiring years of training to gain the expertise and experience to do well. 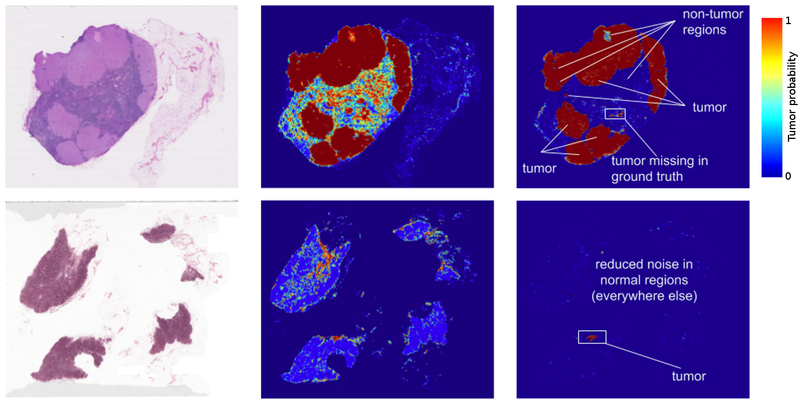 To address these issues of limited time and diagnostic variability, we are investigating how deep learning can be applied to digital pathology, by creating an automated detection algorithm that can naturally complement pathologists’ workflow. We used images (graciously provided by the Radboud University Medical Center) which have also been used for the 2016 ISBI Camelyon Challenge1 to train algorithms that were optimized for localization of breast cancer that has spread (metastasized) to lymph nodes adjacent to the breast. In fact, the prediction heatmaps produced by the algorithm had improved so much that the localization score (FROC) for the algorithm reached 89%, which significantly exceeded the score of 73% for a pathologist with no time constraint2. We were not the only ones to see promising results, as other groups were getting scores as high as 81% with the same dataset. Even more exciting for us was that our model generalized very well, even to images that were acquired from a different hospital using different scanners. 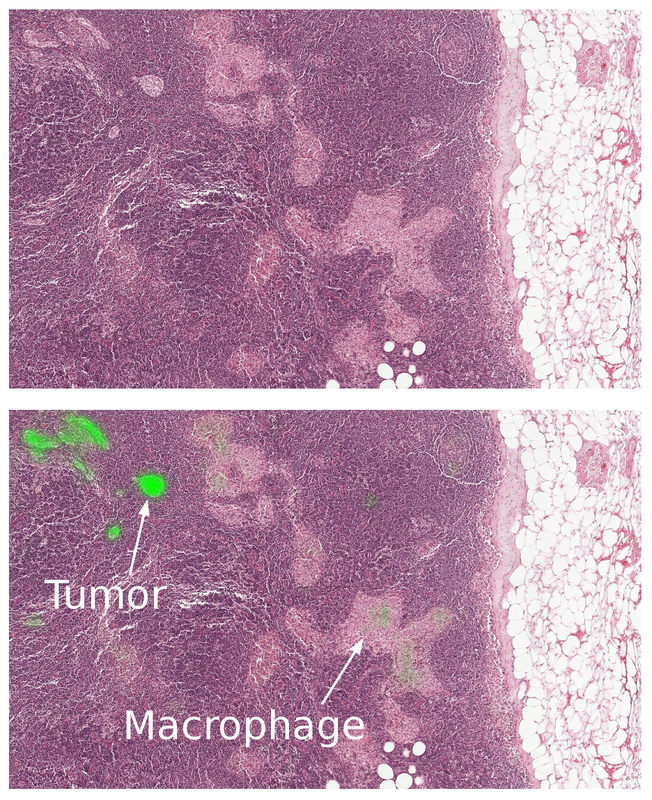 For full details, see our paper “Detecting Cancer Metastases on Gigapixel Pathology Images”.